Fresh vegetables, grown in fields not far from here, are beginning to surface in local farmer’s markets. Yay! I mean, I’m all in favor of kale and rutabagas, in theory. 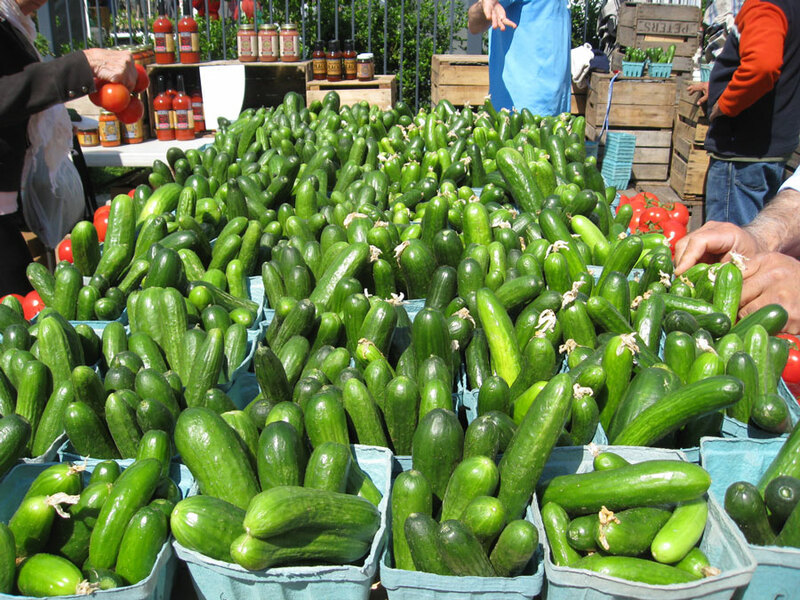 But in practice, my go-to vegetables tend to be zucchinis, green beans and peppers in every shape and color. I’m also a big fan of Brussels sprouts and broccoli and mushrooms. However, not everyone for whom I cook shares my enthusiasm for these second tier veggies. So in the interests of familial harmony I tend to stick to familiar vegetables. Yet even if I can’t always buy them, I love to see the cornucopia of produce each spring. Although we’re months away from backyard tomatoes and squash, the soil is warming, the rains are encouraging, and the general prospects for a great summer are in place. Sure, there will probably be a killer drought in August. And the 17-year locusts are expected sometime this spring. But gardeners learn to roll with the punches. Strong storms and damaging winds may flatten our crops but they’ll never dash our hopes that we’ll be eating homegrown tomatoes before the Fourth of July. Right now the roses have yet to see their first Japanese beetle of the year. I’m trying to enjoy the moment. Garden pests are just part of the Big Picture, like bad calls in baseball or delays on the metro. So what if the Nats can’t seem to sustain a winning streak? The gnats in my backyard have their beady little eyes on the pennant. I’m hoping that when the cicadas emerge they’ll drive the gnats crazy. And who knows? Maybe they’ll also spur the Nats on to glory.